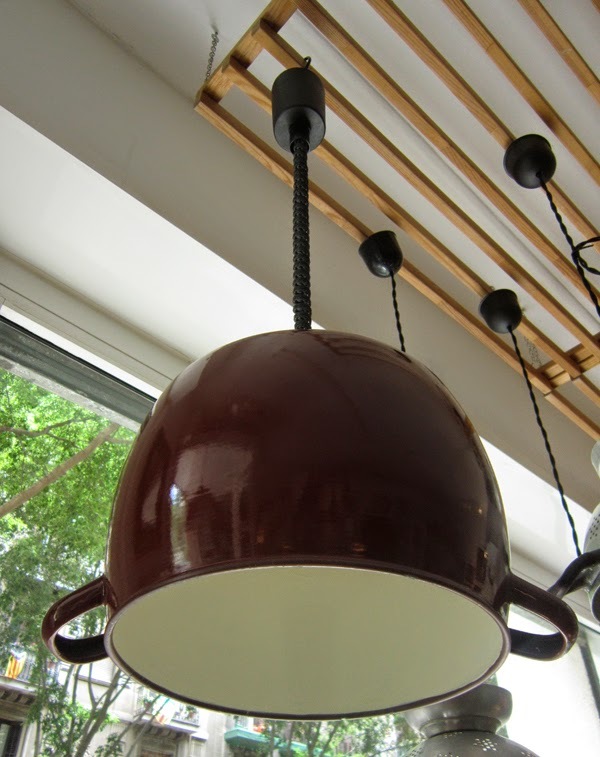 RISE AND FALL PENDANT, made out of a vintage kitchen pot with deep red enamel paint in the outside and white in the inside. 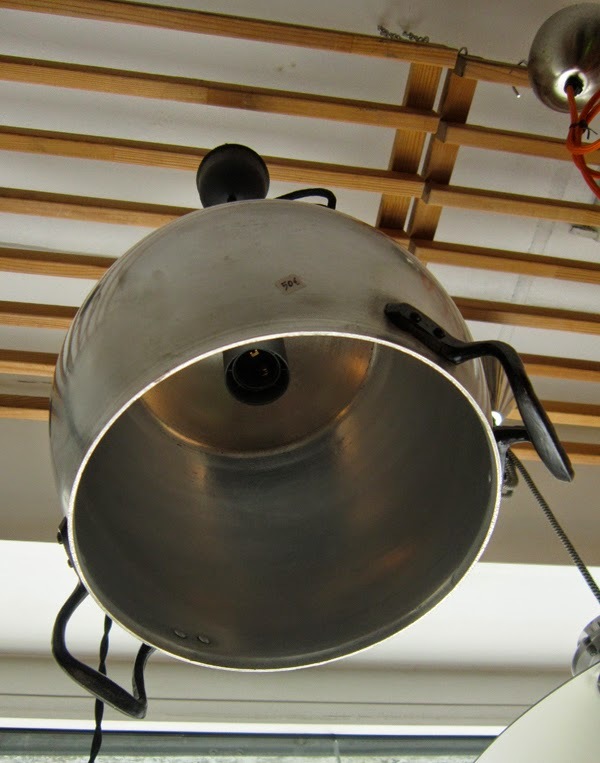 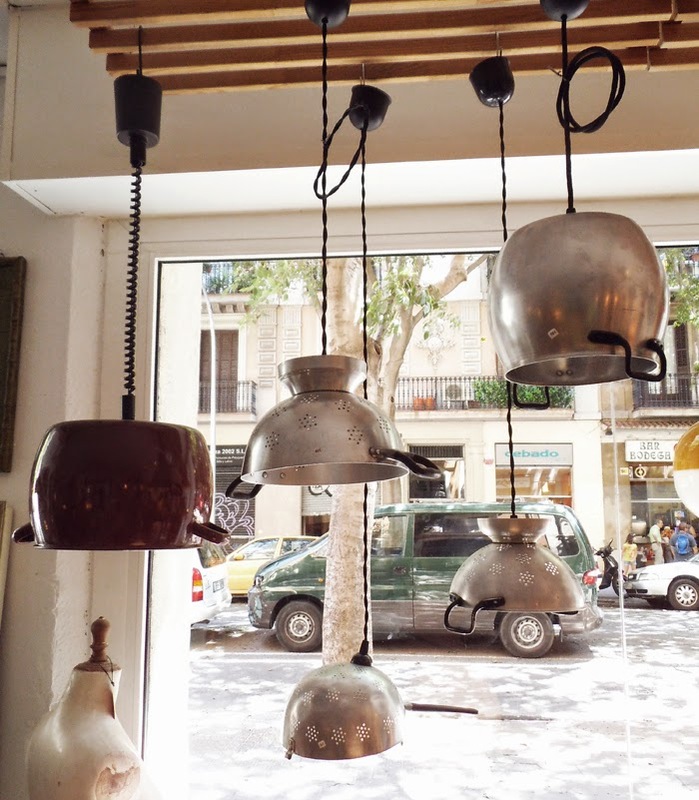 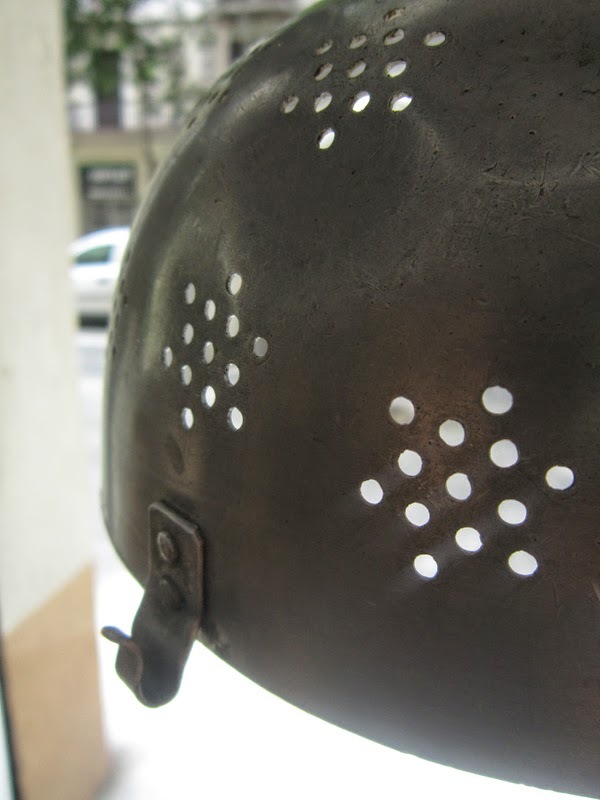 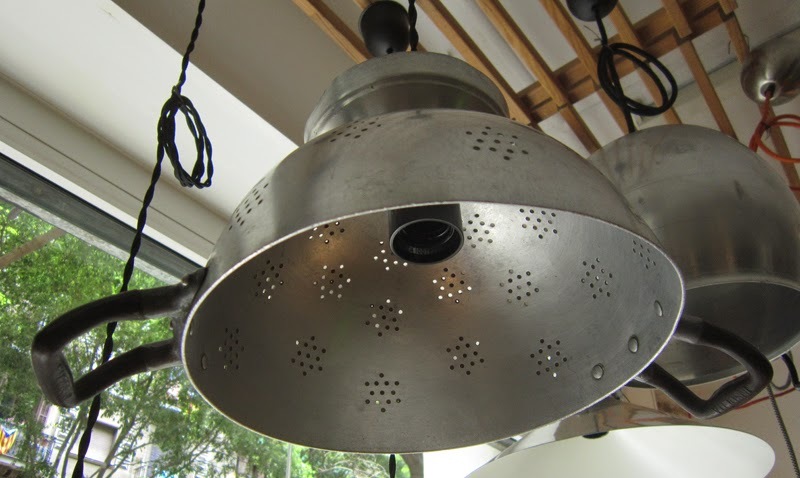 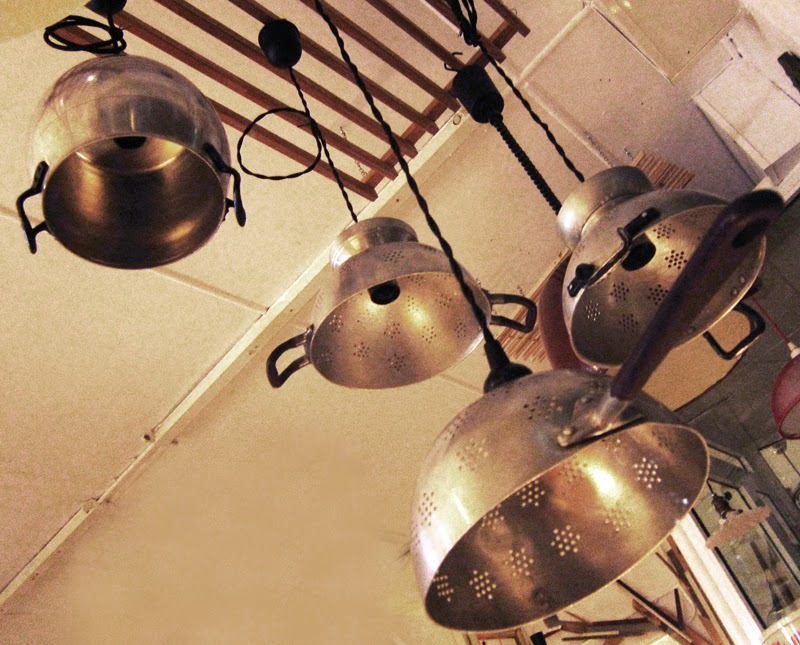 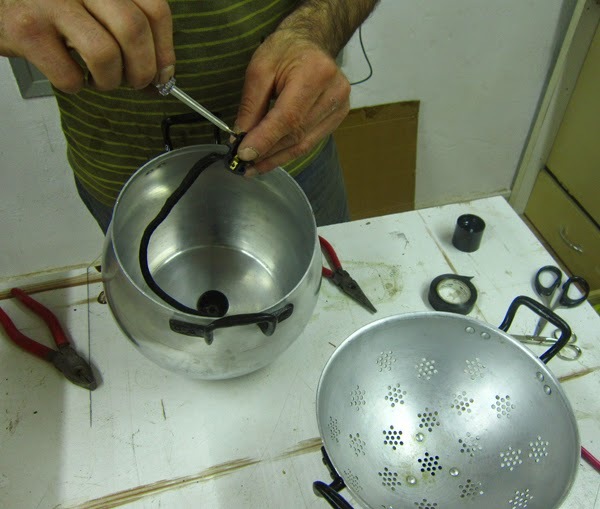 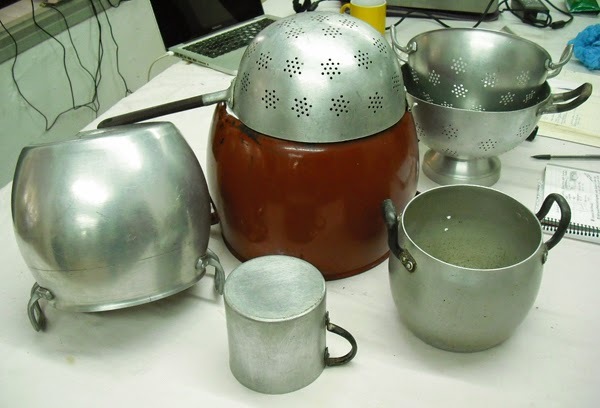 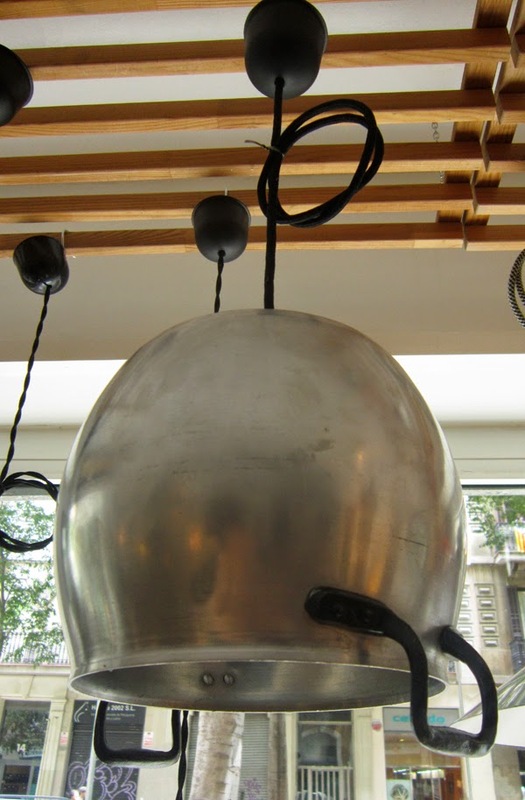 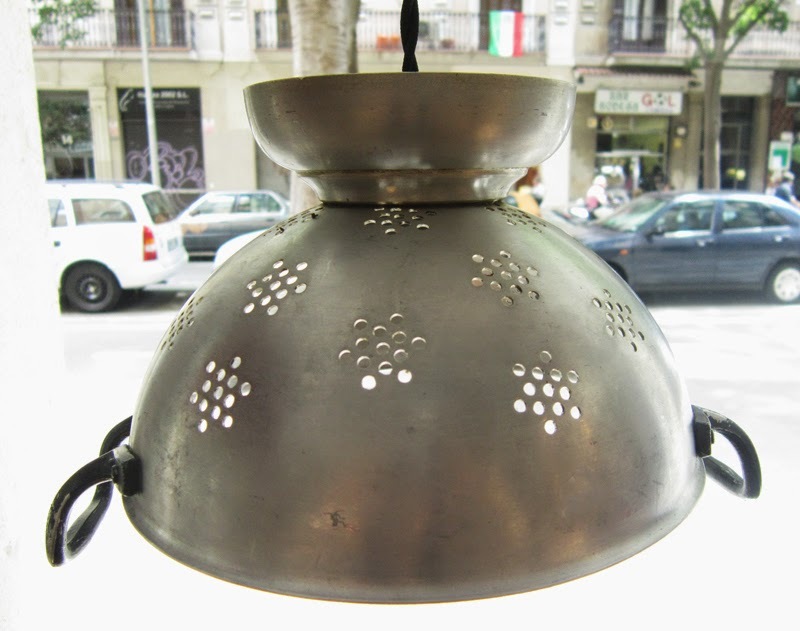 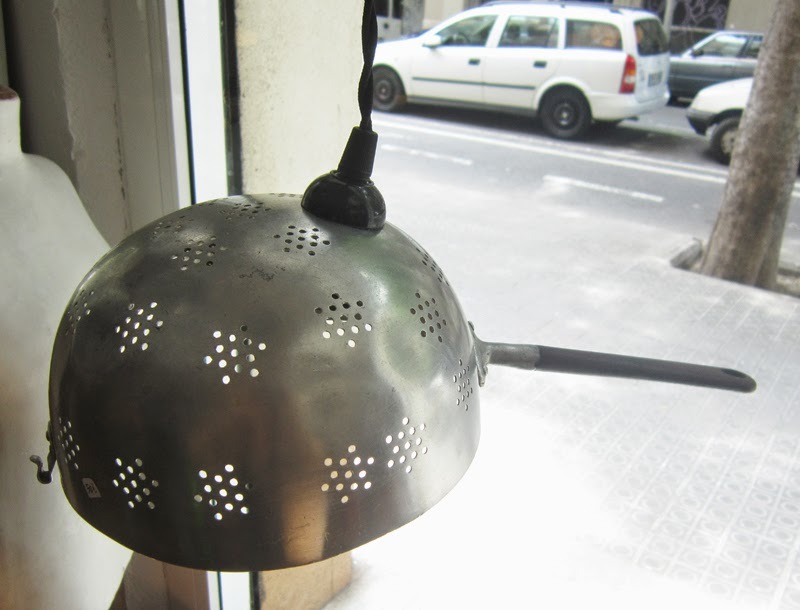 TWO COLANDER PENDANTS, the big one measures 14cm high, 24cm diameter and the small one is 13cm high, 21cm diameter. 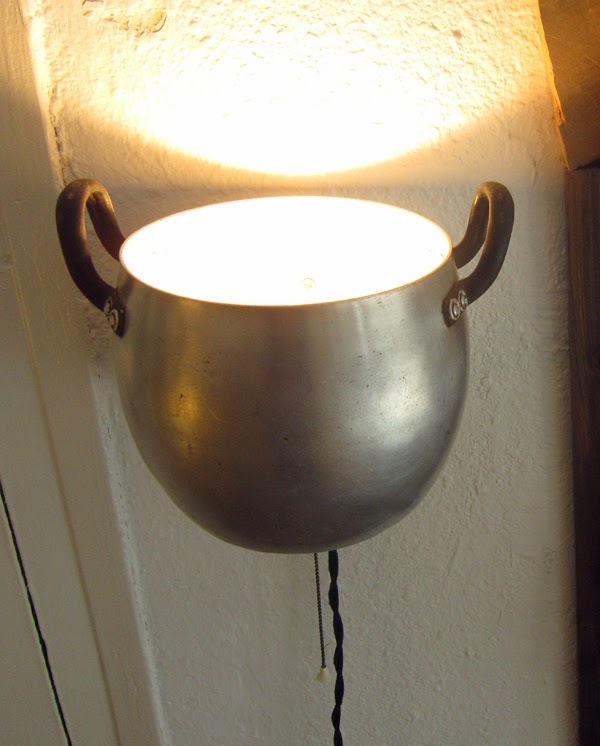 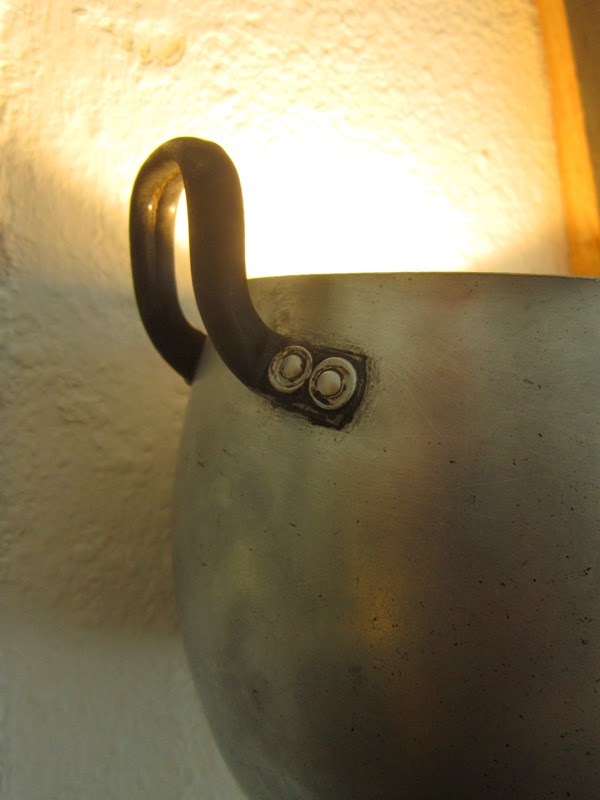 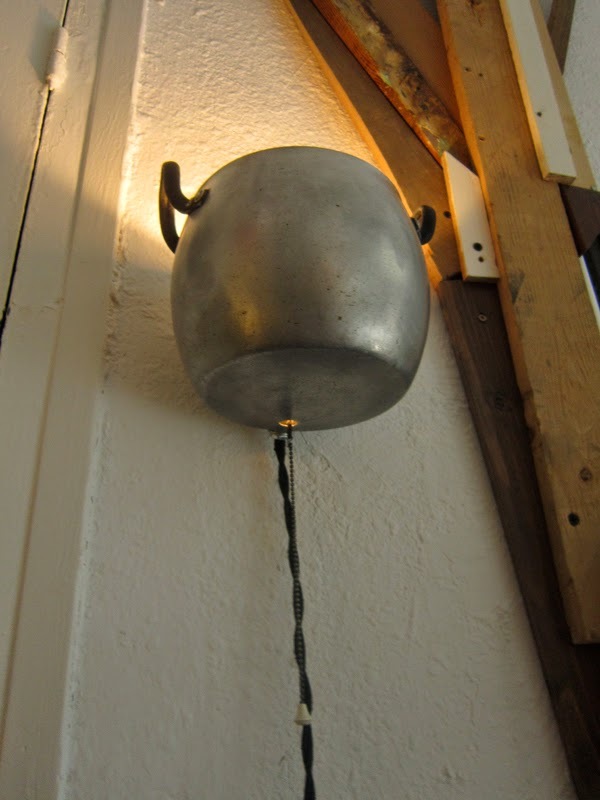 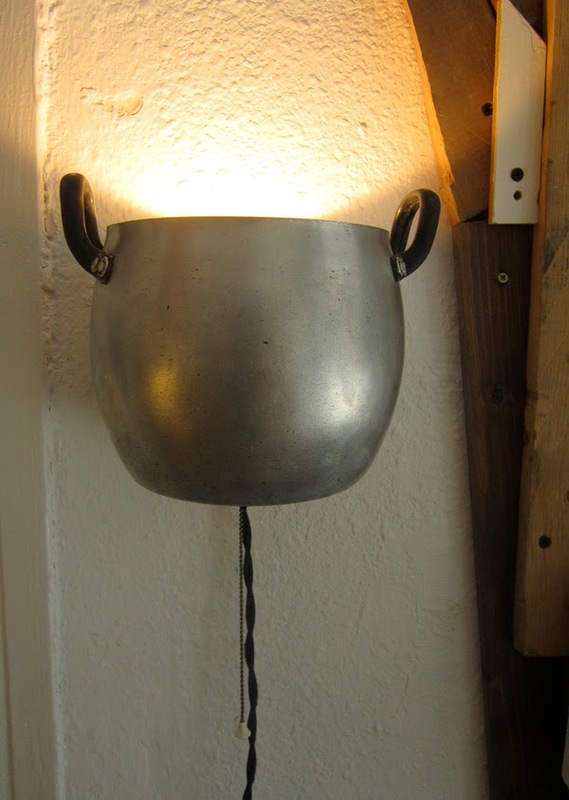 A super cute wall lamp made out of a tiny tin pot with black handles, a restored old brass bulb socket with ball string cord switch and black braided cotton cord. 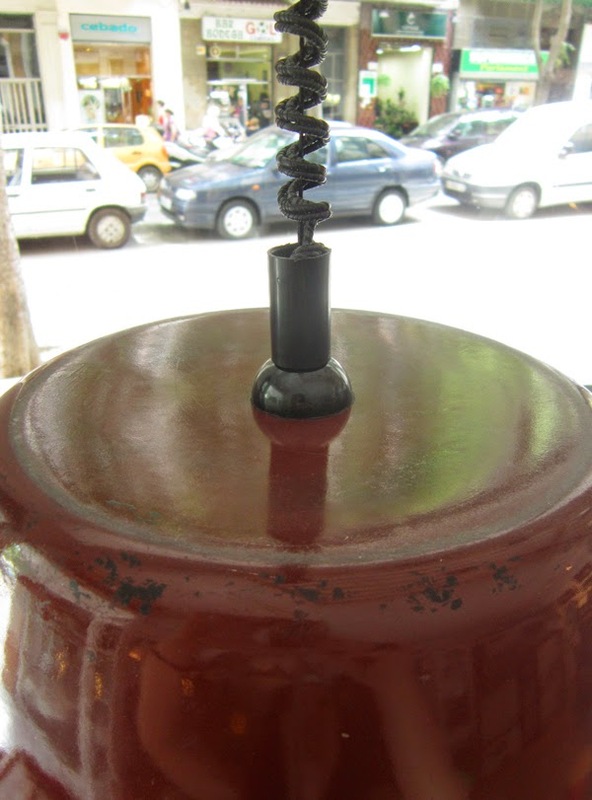 Measures: 15cm high, 13cm diameter. 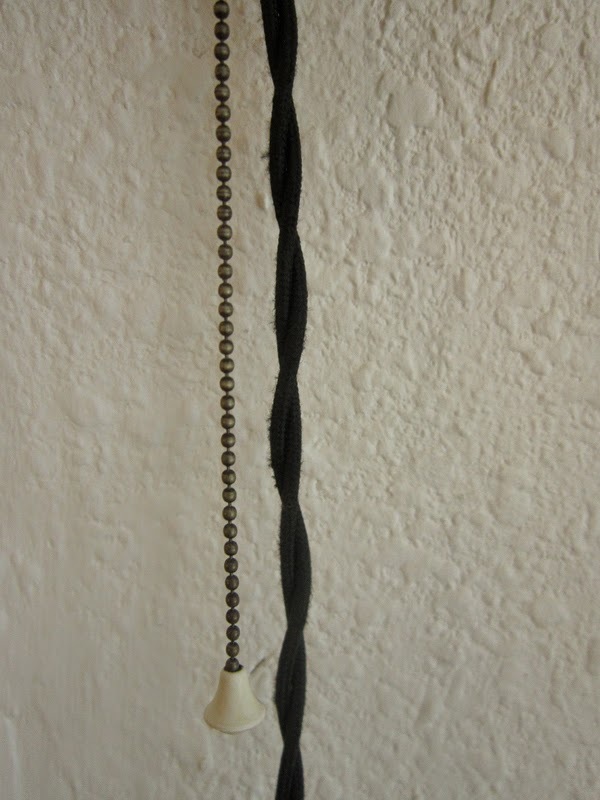 The cord is over two meters long.